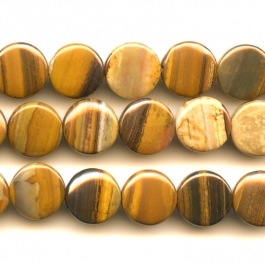 Our new Iron Zebra Jasper beads will remind you of Tiger Iron and Tiger Eye. 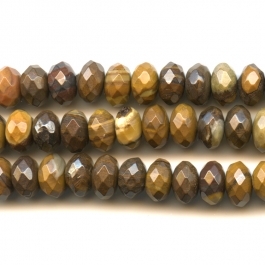 Their colors vary from dark rich browns streaked with grey, to creamy hues veined with a light brown. 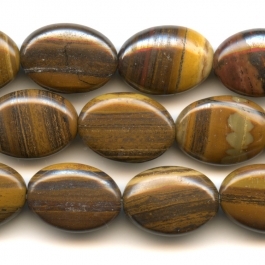 Some materials encased in this beautiful stone also show signs of shiller, a bronze-like luster with an iridescent effect — doesn't that remind you of a splendid Tiger Eye? 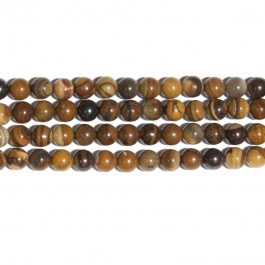 Jasper itself results from long-ago sediment and volcanic ash layered with minerals. 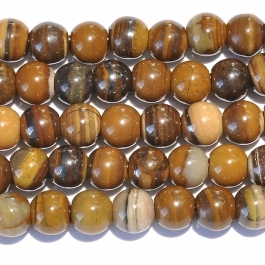 Iron is what gives our Zebra Jasper beads their distinctive coloring. 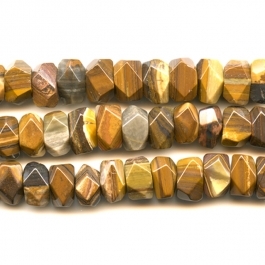 The gem is mined in Africa, and comes with a Mohs hardness of 7. 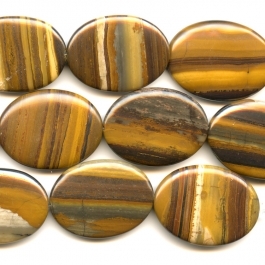 Acclaimed jewelry maker Dale "Cougar" Armstrong takes an entertaining look at the makeup and origins of this picturesque stone in a post about Iron Zebra and other types of Pattern Jasper on our Wire-Sculpture jewelry making blog. 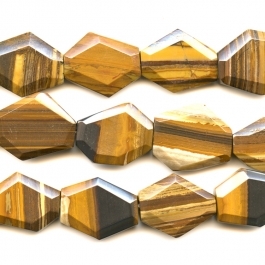 Click here to read Gem Profile: Pattern Jasper. 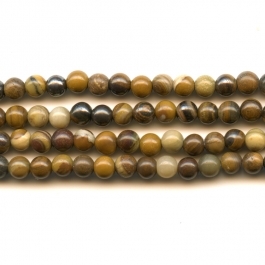 Iron Zebra Jasper beads are a winner if you're looking for natural, earthy colors to highlight your hand-crafted jewelry. 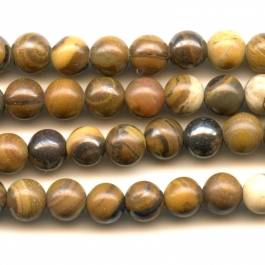 Jasper itself is a favorite among jewelry makers for its practicality, variety and strength. 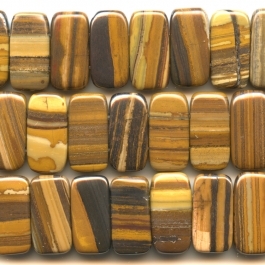 Check out other variations of jasper in our flashy new bead section! We aim to please. So, if you have any questions, give us a call at 1-877-636-0608 (toll-free) and speak with one of our helpful and knowledgeable customer service reps.